ISLAMABAD: In a rare move, Prime Minister Shahid Khaqan Abbasi has approved a special parting gift, equivalent of three-month salaries, for employees of the federal government at public expense. The special ‘honorarium’ is estimated to cost Rs25-30 billion, provided it remains limited to federal government employees. The amount could rise up to Rs75bn if the special benefit is later extended to armed forces personnel, an official explained. 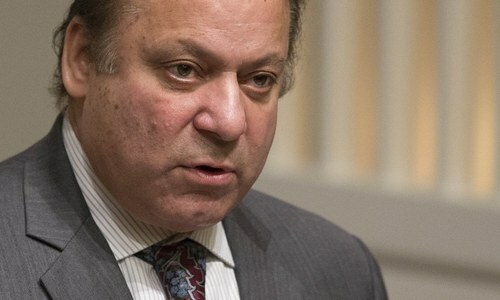 Responding to a question, he disagreed that the move could be termed pre-poll rigging, and elaborated that the elections would be held under a caretaker government through judicial officers, so federal government employees had no reason to be partial to the Pakistan Muslim League-Nawaz (PML-N). The notification issued by the prime minister’s office did not mention employees of the armed forces. It said that the prime minister, who is also chairperson of the Economic Coordination Committee (ECC) of the cabinet, was “pleased to order that all employees of the federal government shall be given honorarium equivalent to three basic pays for financial year 2017-18. No exception shall be allowed for payment in excess of the ceiling in any case”. The prime minister decided to set a precedent for future governments to allow such amounts to be doled out from the public kitty, but expressed hope that it would be based on some principles. He further “desired that for the financial year 2018-19 onwards a policy may be formulated by the new elected government after Elections 2018”, said a notification issued by PM’s Secretary Fawad Hasan Fawad. 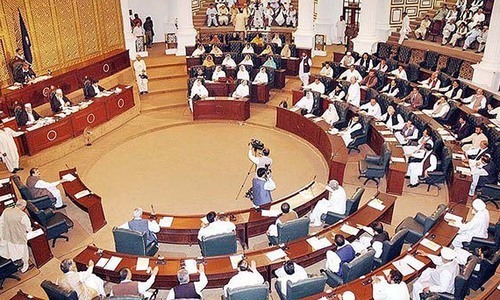 This is the first time such a major decision has been taken by a prime minister, ever since the Supreme Court of Pakistan, two years ago, restricted the powers of the prime minister and members of the cabinet in financial matters, unless collectively approved by the federal cabinet. A senior government official said personnel of the armed forces, and employees of provincial governments, public sector organisations and financial institutions would also harbour expectation of the financial benefit allowed to federal government employees. The combined financial impact on federal and provincial governments could go well beyond Rs150bn in that case, he warned. The prime minister’s move comes at a time when the fiscal deficit has already been estimated by the Ministry of Finance to exceed 5.5 per cent of the GDP for the current fiscal year, compared to 4.1pc set in the budget last year. Federal Minister for Finance Dr Miftah Ismail was not available for comment, but a senior government official said this was the first time a government had allowed a special financial benefit to all government employees without discrimination. I am sure the money is coming from taxpayers’ pockets ???? This is sheer injustice to 99.99% of population of Pakistan who are not employees of Federal Govt. It almost construed as pre-poll rigging as huge sum of money is being expended without any valid justification. This is pre poll rigging. Vote PML=N. We control the m-o-n-e-y. Without any doubt, this is pre-poll rigging. What a joke to call it a GIFT !! Such largesse, at people's expense is totally uncalled for. The governments of the day, whether at the federal or provincial levels, should not behave in such a manner so as to appease a tiny portion of the society at the cost of millions of its citizens. SC should act quickly and reject this as country is in debt and not in a position for this kind of unnecessary expenses. It must be banned being an act of bribe to get sympathy. Such actions indicate that Such party are not interested to well being of a nation but always think of self comfort at the cost of tax payers. Alas, see how our tax money is being spending on officers who are enjoying govt jobs already. People like us looking for jobs but not even finding in private sector. Is he paying for this??? A gift from him? With Rs 25-30 bn ..we can built a tertiary level hospital...an international level university and even an international level Sports complex...Don't waste taxpayer money... Pre Poll rigging . Cheap publicity stunt and pre pole rigging. Is he show this good will for Air Blue employees? I am sure not because that is coming from his pocket. Mr. Prime Minister is clearlly not thinking. Why not his huge cabinet and Mr. President cut down their expenses and take token salary to pay for the well deserving fed workers. I have never seen this durimg my 45 years stay in N. America. I have read Kings in KSA awarding a month bonus om Eid to their citizen. This is how PML(N) achieves its political objectives . Buy them or banish them . supreme court should take notice. Reckless decision as ever. Does he dish out the same to AirBlue employees on Eid? Definitely not. These guys think that government money is there to be thrown about even though country is at the brink of financial collapse with record internal and external borrowing. CJP should step in and cancel this award as this is not fair to the tax payers and other government employees in provinces. This is a typical example of reckless financial discipline which all the political governments have shown in the last 10 years. Why didn't Govt spent the same amount on power projects, hospital ??? Why Fedral employees only ?? Strange and highly debatable. There is confusion. Is it equal to three running basic pays or to initial basics????? What value have the federal government employees added to the economy to deserve this bonus. How can the exchequer bear these additional expenses and under what authority the PM can do this without taking the Parliament in confidence. Is this not pre-poll rigging? The ECP and the SC need to step in. With such a low performance and gift during election year, pmln thinks they are only the clever in pak so not to call this pre poll rigging. Please tell me it is a joke. Last ten years of Corruption Mafias PML-N and PPP governments were nothing but a bad dream for our nation. They just got the loan from UAE to enhance the foreign reserve. No logic whats so ever. Congratulation to all federal government employees and thanks to PM of Pakistan. We pray your long age. That is the typical way N Leauge governs, bribing, greasing palms. But not a penny should come out from their own pockets. It is hard earned money of common taxpayers which is spent on pleasing bureaucracy to continue working towards the very special interests of NL leaders. The govt is borrowing money to cover up the circular debt and he is spending out money crazily on a silly thing? This should not be allowed in any case. This decision by PM is equlent to bribery rigt before election, by giving bounces they are expecting that government employees will vote for PML-N , this a legal corruption technique invented by PML-N.
@Irshadullah ......and assure you , that we will cast our vote in your favour in the coming elections. There is no justification for this kind of giveaway. A political move. Abbassi can give from his bank account. I hope he will announce for his own business employees also. Pay their normal salary 1st. Some employees have not been paid for months. How are they supposed to survive. This announcement is nothing more than a gimmick. Shame on you corrupt politicians. Great step Mr. Prime Minister. Hope this tradition continues in the next governments. Those who criticize this move should note that federal government employees are the lowest paid in comparison to public sector organizations and armed forces and even provincial government employees enjoy more benefits in terms of housing, child's education etc. Whereas federal govt employees have little to choose from in terms of health and education of children. Moreover organizations like PTCL, NLC and FWO also give such bonuses on Eid. 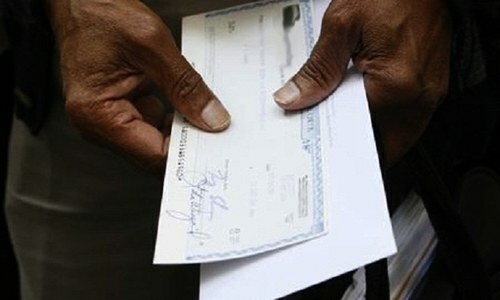 Many multinational companies also such give bonuses. So in my opinion its a very proportionate move. Where will he get the money from? Borrow from US or China? This never done anywhere and must be stopped by the SC. The county is badly in debt and does not need such nonsense give away. Aren't others citizen who pay taxes? This corruption must end. Why PM not gift his private airline and assets to them?? Surely a pre-poll rigging, all those employees & their immediate families will vote for PMLN. As country is in deficit, this means more borrowing. 30bn $ equals more than 250 million i.e 2.5% of total reserves. If it is extended to provincial employees than its more than a billion USD. This is serious money and sufficient for a lot if things like 1500 megawatt power plant, universities, schools, hospitals, a full squadron of fighter aircraft etc. A final worst action taken by PM of PML N. He has taken this action intentionally knowing well that it will never be materilzed and shall be reverted back by Judiciary. However in such situation federal employees shall be obliged of N League and will have bad feeling for their supposed opponent Judiciary. What a shortsightedness. Judiciary will again win as General Public shall support and appreciate reversal of decision taken by out going PM having already weak financial credibility. All those claiming that this is being 'wasted' on corrupt bureaucrats, federal government employees also include poor and hardworking drivers, orderlies, etc. They too deserve some extra change for the holidays. How can the PM forget the Armed forces personnel serving or retired. Unless this previlige is extended across the board, its without doubt pre- poll rigging. Also in these dire fiancial state of Pakistan who will be begged to make this amount availabe.Its time the ruling elite should stop thinking that the peopleof Pakistan are Fools. It is hard to understand such a whimsical move without much justification. All the same this good will gesture needs also be extended to the pensioners who probably are more constrained and deserving. This is ridiculous.....Why to give this honorarium at all? ?/ there is no need of it. Cant the do anything productive? like decreasing the budget defecit. The greatest ever step taken by any government because honorarium is to be given to all the federal government's employees.This has become norm that only a few powerful departments get honorarium e.g recently different departments have been given 5 honorarium in budget speech. This discrimination does not stop here the powerful departments give honorarium to their departments without government intervention for instance Supreme Court of Pakistan has even given the two gross pays to its employees. And there are many more such instances. Everyone says negative here. My tax money and so forth. I am sure non of them pays tax. Pakistan has around 1.5 million people in active tax payer list. Also note that public sector employees are under paid already. So I encourage this act. And really it should an example for governments to come. 2/2 It is paid every year to those govt servants who did extraneous work out of normal sphere hence entitling them for this. According to Govt Budget Rs 12 Bn are already allocated for this purpose but now in light of honorable Prime Minister's directive it is going to cost Rs 15 Bn, excess of above mentioned limit. PS. Upcoming person with an urge to oppose this move may please start with their NTN number. Regards. A humble Govt Servant. I wonder when was the last time he increased the salaries of his Air Blue employees?. Typical of PMLN. The money is coming from China. That is why we need to borrow money from China to run the day to day business of the country. Would he do the same for employees of Air Blue? And BTW what has the Federal govt. employees done so great that they are given this honorarium? PML.N has 35 years experience, how to win election. This is just a glance of rigging the coming election. There are more surprises to come. However, this is a good move in the sense that all the govr, employees are not corrupt. There are many federal jobs where there is no very little chance to do corruption if one wants to. There are those also who are not brave enough to do corruption. So this move of PM will, at least benefit those and they will also get piece of the pie. Will the PM pay from his personal funds or the tax payers will be stuck with the bill? @Adnan Mazher Khan. If .01% will help him win the elections then there is something wrong with the system. Even Kings and Queens of today's contemporary world will be hesitent to emulate or immitate the generiousty shown by Prime Minister, the source of funds stemming from the account of the hapless and helpless tax-paying people of the Islamic Republic of Pakistan. With 2018 general elections just around the corner and his administration about to leave office in less than a week, his kind gesture is nothing but pre-election and pre-voting rigging. This is pre-poll rigging. Someone take this order and notification to the court asap. Shame on Shahid Khaqan Abbassi - what use are his degree and business experience if he is going to act like a feudal lord. If he pays from his private account then GREAT, but to use country's money is not right. There are so many fantom employees or so many do not even do the work but just collect pay because their manager/director is a friend/relative. This is one reason Pakistan keeps going into debt deeper and deeper. For doing what? Did the nurses, watchmen, bricklayers or the sweepers of the country get this bonus? Is Pakistan an ultra rich country to be able to afford this kind of pay out? What have these employees done that is so extraordinary that they deserve such an award? If nothing, then it is simply Pre-poll rigging, trying to buy employees' votes. All my brothers and sisters, are commenting upon this action that it is not fair and pre-poll rigging. Can any one tell what kind of incentive have been given by the Govt. to employees in last ten years??. we are the people that are entirely dependent upon salaries. The businessmen and even a fruit seller adjusts himself according to the daily market's up and down. The govt. employees have no other option other than the fixed salary. So I don't think so that everyone should start condemning this action. At least few of your brothers and eventually the poor society will also get benefit in the form of zakat and help. A parting gift that could cost as much as Rs. 75 Billion ? Isn't the government already trying to getting a loan of $1-2 Billion from Chinese banks ? Where do they plan to get the money from? Buttering up the wrong people, Mr. PM, you need to give the people of Pakistan a parting gift before leaving and right before the elections, they are the ones who elected you, three times. but WHY on earth?? why i need to pay for such politically motivated, discriminated act?? if you cant gift to every 200 million why paying to such a people who already enjoy much privileges. Yeah the caretaker is only for 6 weeks. But PML-N will reap the benefit of doling Rs. 25 billion. This is greasing the palm of the civil service, and pre-poll rigging by the ruling party. This will this add to the budget deficit. Either the election commission or the courts (sue moto) should act to avert this non-sense. Any thing for the poor? Payment for honorary purposes shouldn't be paid from the federal treasury, all of us are paying for it! & If Air Blue is earning lucrative profits even then the AWAM is paying for it! If Eid bonus is being paid then it should be limited with in 50% of the basic salary! There is nothing new or extraordinary in it. The burden may not be as large as apprehended by the viewers or analysts. It is because that nearly every FG department grants honorarium to it employees regularly at least once during the year. Therefore that budget is already allocated in this regards. However some departments like Finance grants honorarium to its employees equivalent up to six pays and the others grant one salary or half of it. The PM in his orders has desired to equate all the departments by announcing honorarium equivalent to three basic pays for all. Hence no extra burden and no need to worry please. Do the pakistanis honestly pay their taxes to the govt. ?Is there any govt. institution in pakistian which collects charity from the elite & the middle-class for funding the development of economically & socially weaker sections of the society? One month - instead of three - would have been more than enough. Chief Justice should take suo motu action. The PML-N government failed to increase tax revenue collection and increase export earnings in its five years. Therefore, it had resorted to taking unprecedented loans making the country almost bankrupt. The Election Commission must stop such political bribery of 3 months salary bonus as 'gift' to government employees just before the elections. Why are you rewarding them so? Because they helped you pull tricks on the people. Nothing works right. Only the bureaucracy itself is getting rich by virtue of the office they hold. They have enormous powers, you think they will help you win next. All the government departments, right from autonomous corporations to interior ministry, seem busy in pauperizing the people. For instance, the ZTBL at the village level (such as at Mirhazar, Muzafffargarh) is looting the farmers because the 100 they borrow becomes 200 within 3 years through usurious interest, and input prices increase exponentially until he can never repay. Meanwhile, the staff continues to fill their own private pockets by extortion through threats. All the other government departments are also helping to pauperize the people too. Therefore think of something to reward the people rather than your bureaucracy.